GreenMedInfo.com exists in order to provide convenient and open access to the biomedical research available today on the therapeutic value of natural substances in disease prevention and treatment. Our website and video-based learning site GreenMedTV.com provides physicians, health care practitioners, clinicians, researchers and the layperson with an evidence-based resource through which the potential or actual therapeutic value of vitamins, minerals, herbs and foods can be determined. Our popular daily and weekly newsletters provide a continual source of relevant health information. 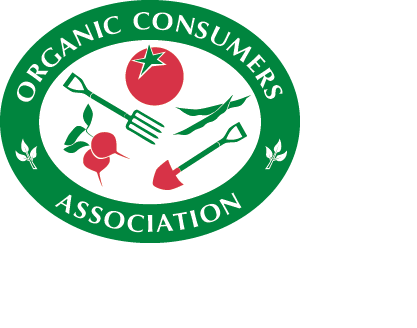 Organic Consumers Association educates and advocates on behalf of organic consumers, engages consumers in marketplace pressure campaigns, and works to advance sound food and farming policy through grassroots lobbying. We address crucial issues around food safety, industrial agriculture, genetic engineering, children’s health, corporate accountability, Fair Trade, environmental sustainability, including pesticide use, and other food- and agriculture-related topics.